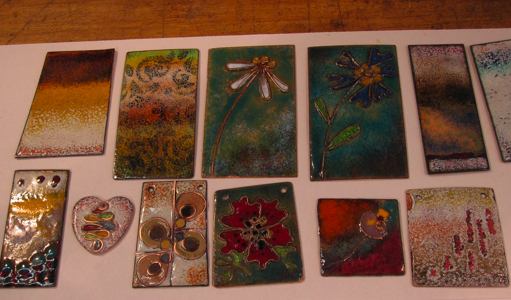 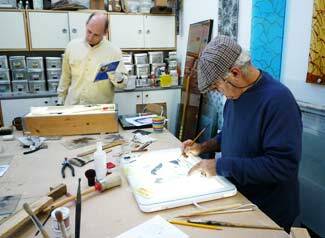 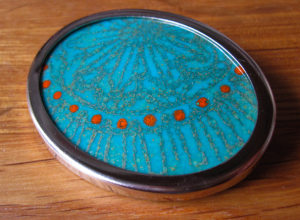 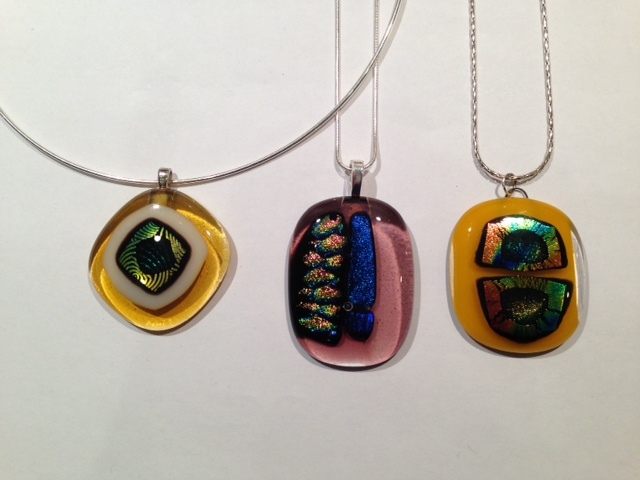 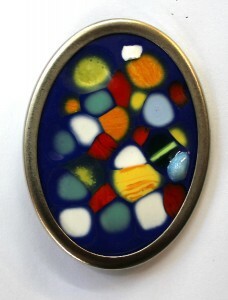 A new and exciting weekend course exploring the beautiful technique of cloisonné and enamel on copper and silver. 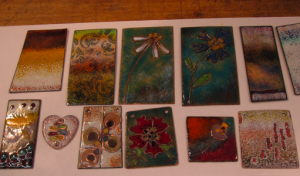 Together we’ll learn the basic skills required, working on copper with opaque and transparent enamels. On day two we’ll progress to making your own simple design on a fine silver pendant with transparent enamels. 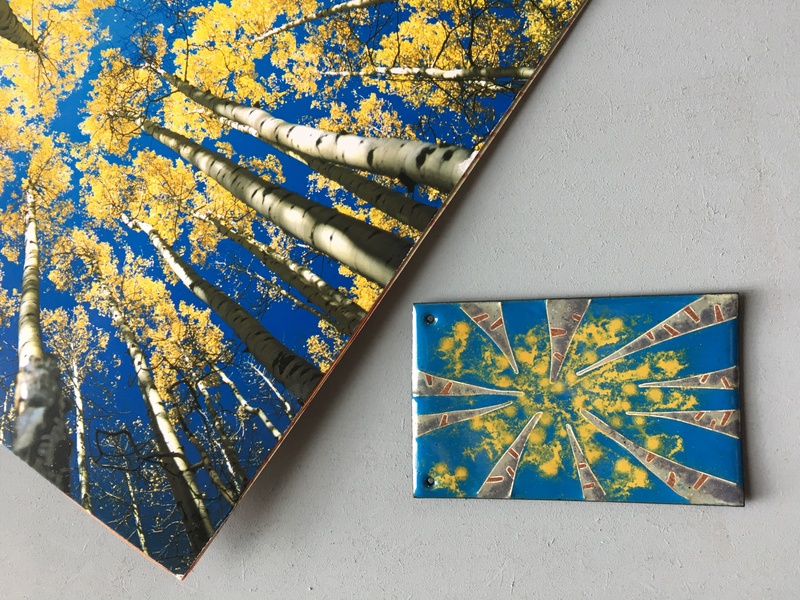 This course will add a new decorative technique to your enameling bow! 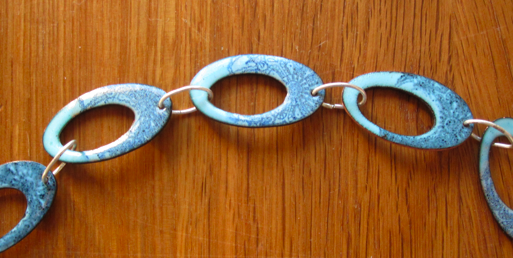 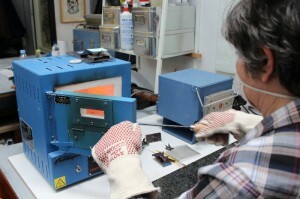 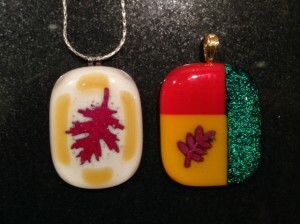 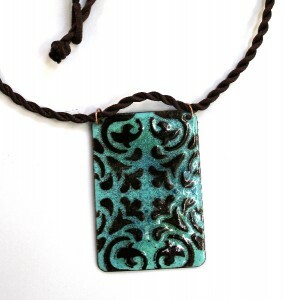 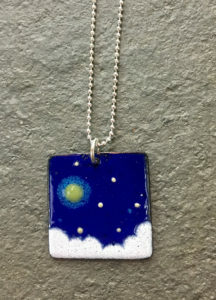 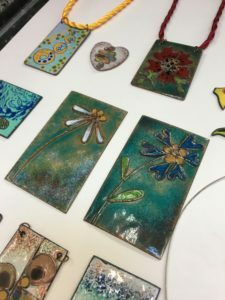 As we explore more advanced enameling skills we will also learn how to use pliers to shape cloisonné wires, as well as covering wet-laying techniques. 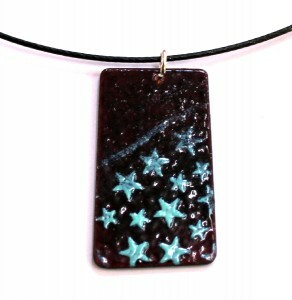 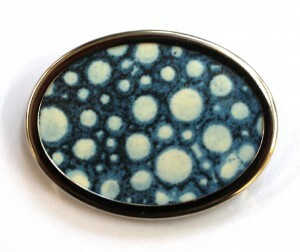 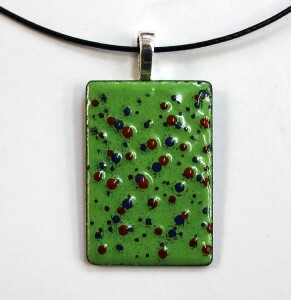 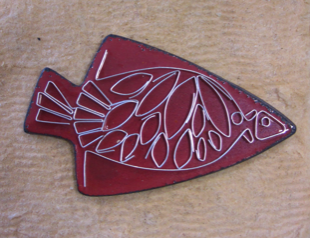 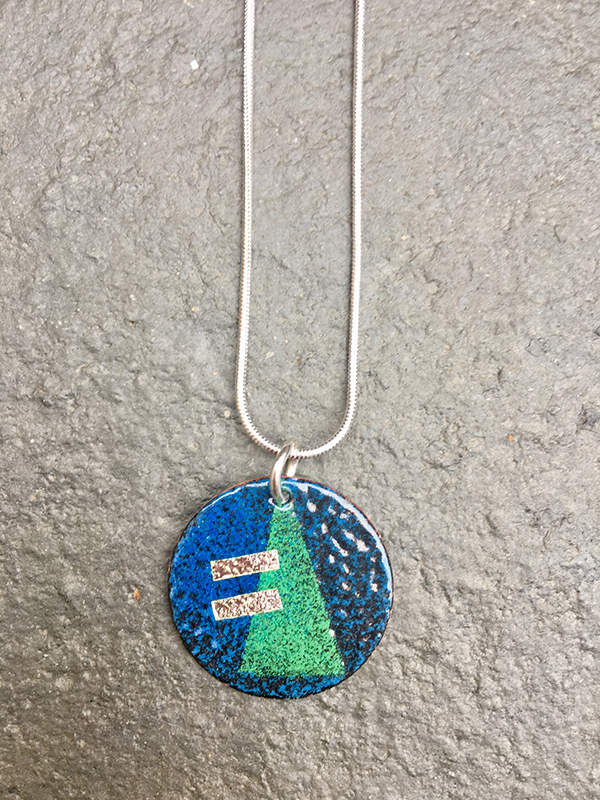 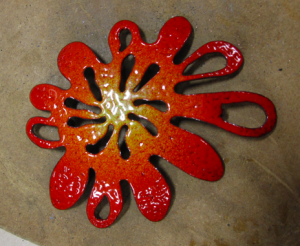 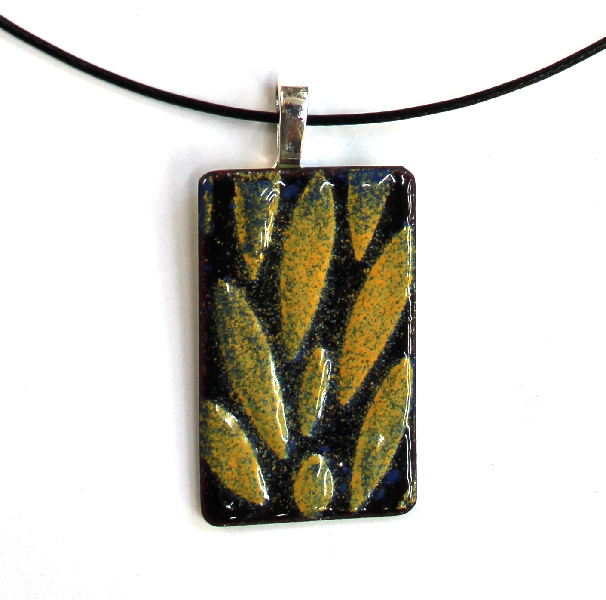 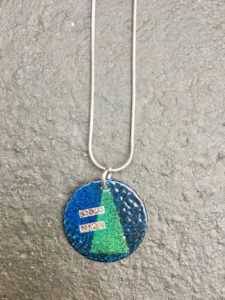 Please note, some previous experience of kiln enameling is essential, so if you haven’t done any before, please book onto the “Enameling on copper for beginners” course first, and then you can progress to this one. 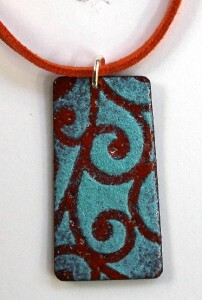 Design a simple small fine silver pendant with cloisonné wires by the end of the second day. 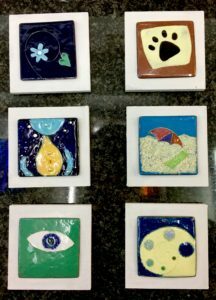 Receive peer and tutor feedback on your creativity! 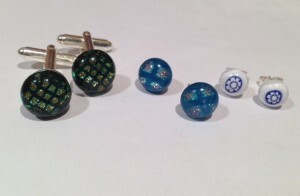 A supply of silver-plated jewellery findings will be available on which to mount your sample pieces. 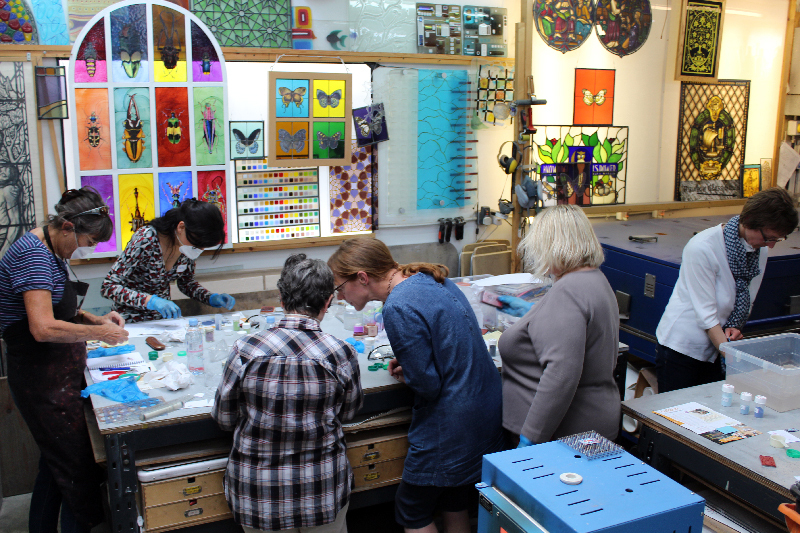 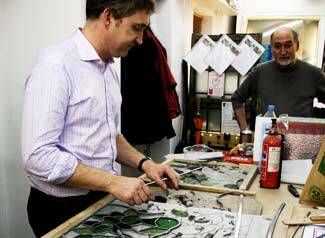 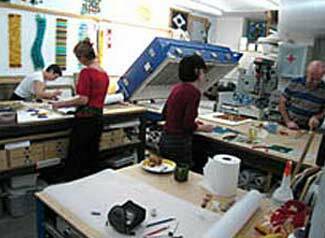 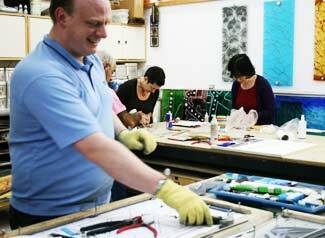 Please note: The course takes place in a working glass studio and not a classroom setting, so participants need to be able to stand to prepare enamelled pieces, and to work standing at benches. (Stools are available in between times). 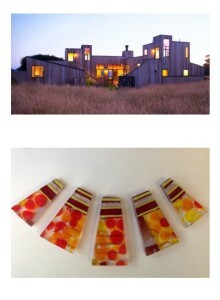 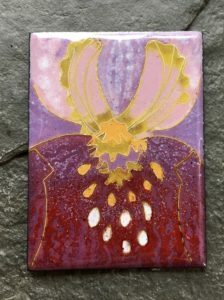 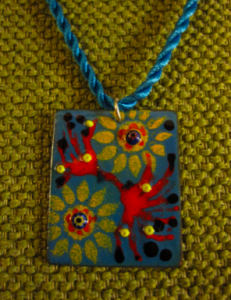 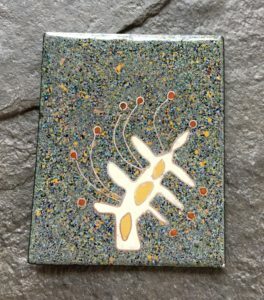 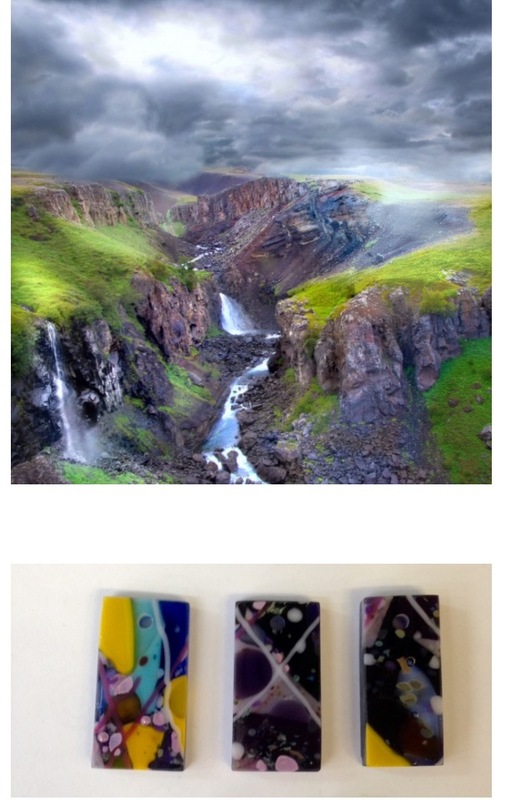 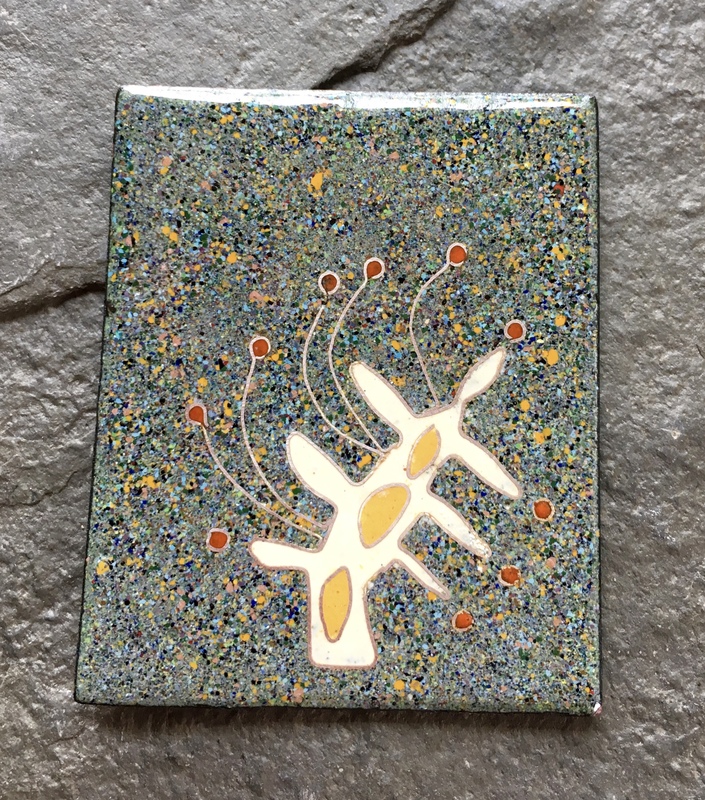 This exciting day course explores the skills and techniques of kiln enameling led by Eleanor Watson. 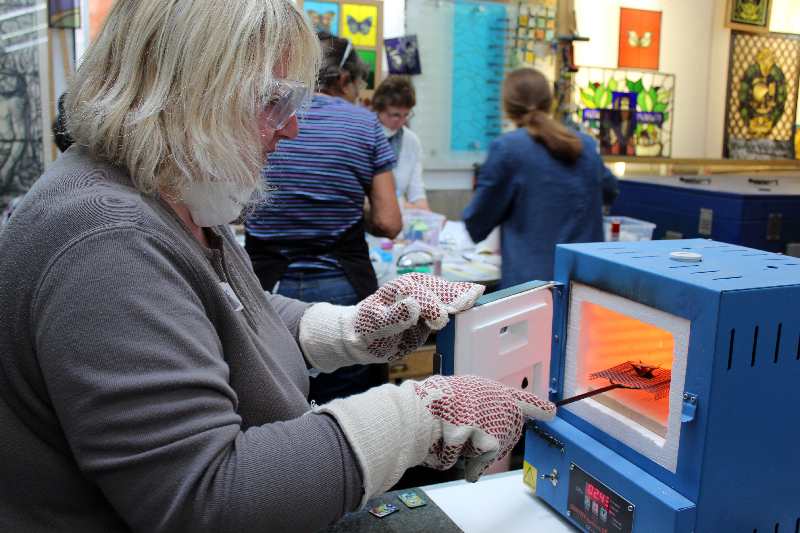 We will be exploring the exciting process of fusing finely powdered glass onto the surface of copper. 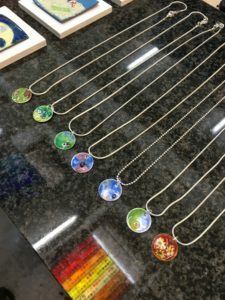 These beautiful techniques were used by the ancient Chinese, Greeks, Celts and Egyptians to decorate metal and add colour to metal jewellery. 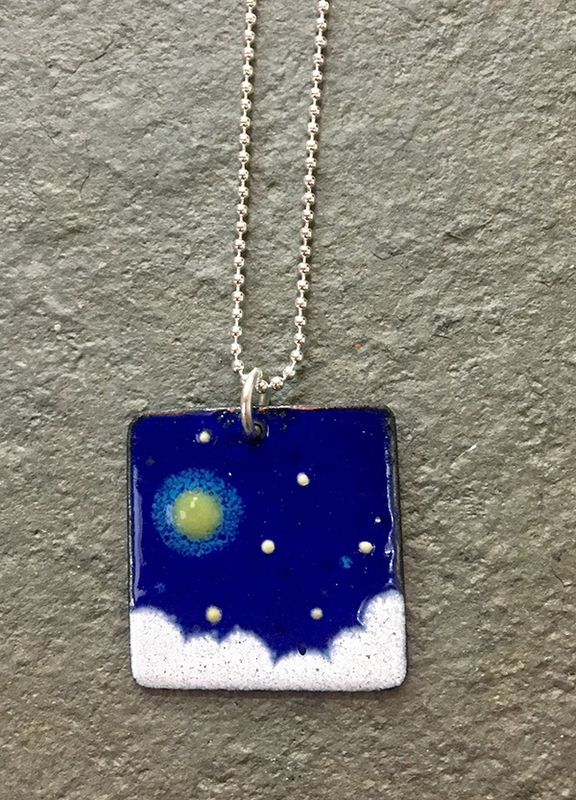 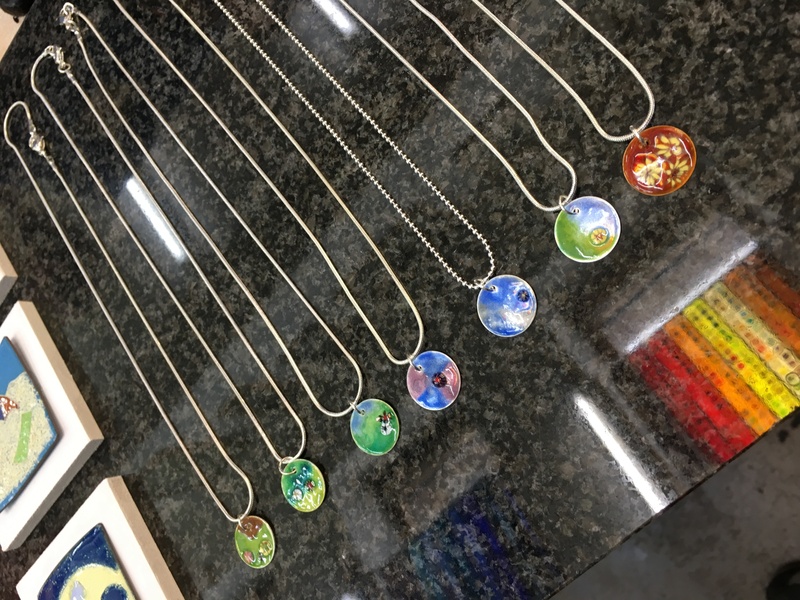 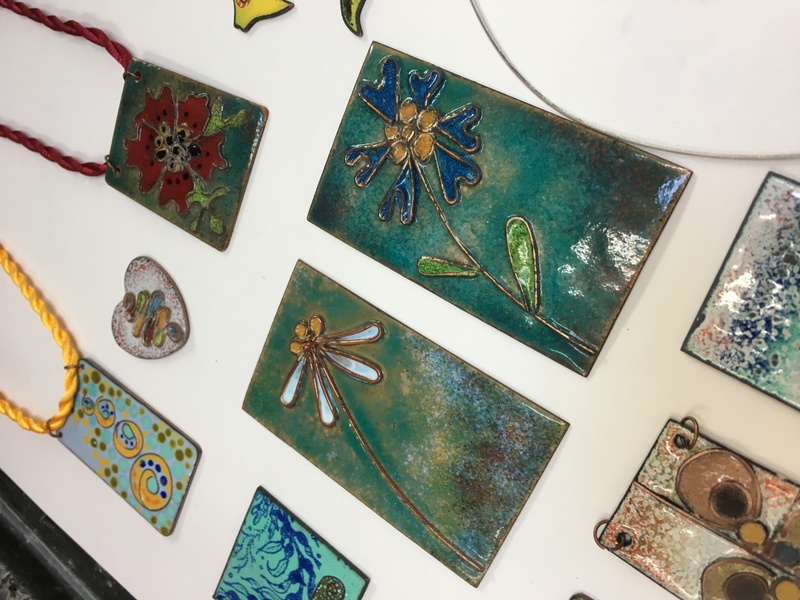 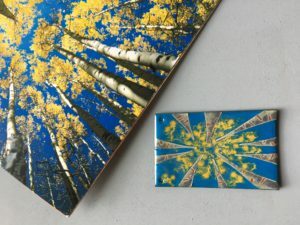 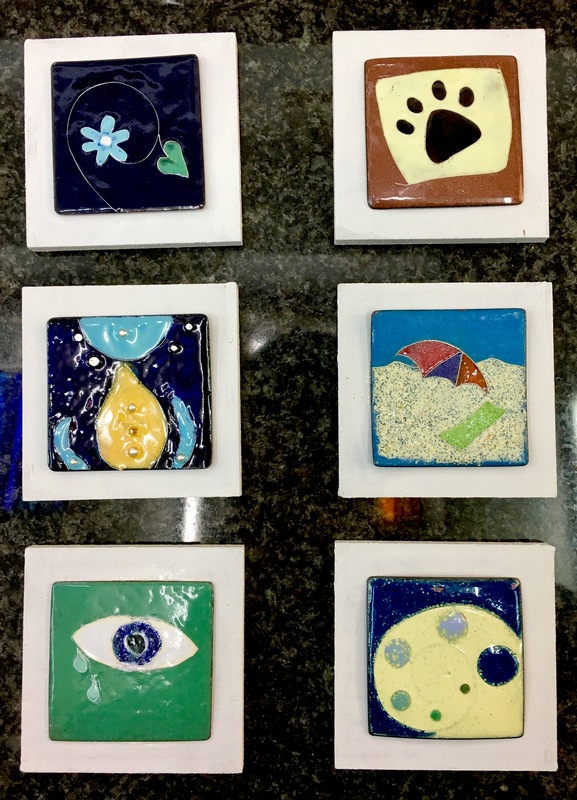 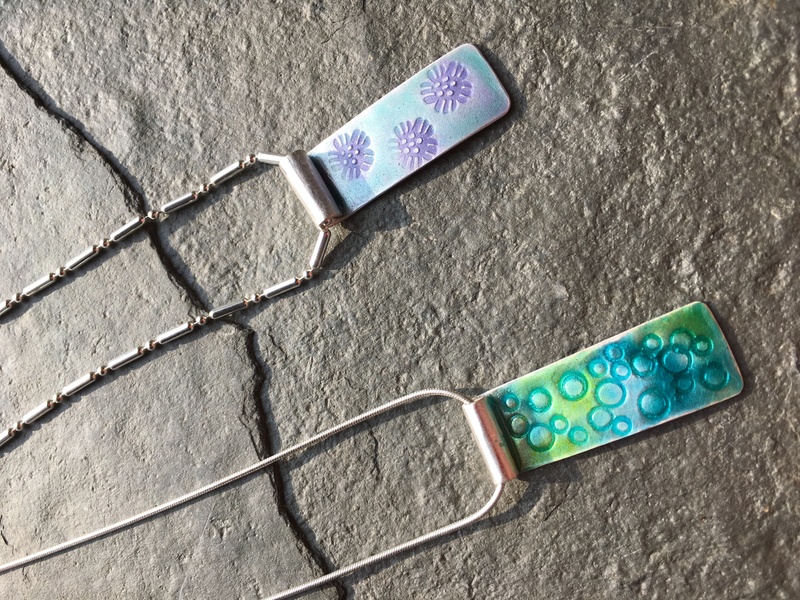 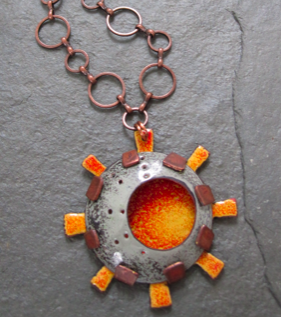 If you love working with colour you will enjoy this enameling workshop; the combinations are limitless and the results swift and exciting to see as they emerge from the kiln. 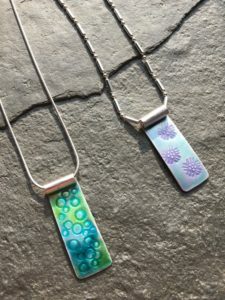 We will experiment with a range of simple decorative techniques to create your very own one-off pieces to make into unique jewellery. A supply of silver-plated jewellery findings will be available on which to mount your sample pieces and information will be provided on suppliers of enameling equipment and jewellery findings should you decide you want to do more! 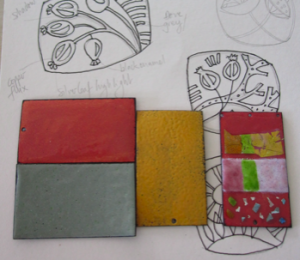 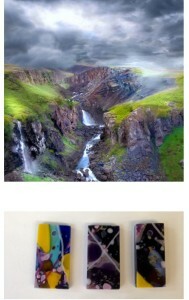 Plenty of tea and coffee and biscuits will also be provided, enameling is thirsty work! There is a limit of 7 people per workshop enabling faster learning.